After reviewing AZiO’s Levetron Mech 5 mechanical gaming keyboard several months back and coming away quite impressed with the product, AZiO promised us that they were quite focused on the gaming market and hinted that they would be expanding the Levetron line of products in the near future. Delivering on their promise, today we’ll be reviewing the first gaming headset to grace AZiO’s Levetron line of gaming peripherals, the AZiO Levetron GH808 USB Gaming Headset. The Levetron GH808 features 40mm precision tuned neodymium drivers, bass enhancing vibration modules, circumural earcups, and a swing out noise cancelling microphone. Additionally, it also features the AZiO exclusive SuperBass function, which AZiO claims will dramatically enhance the bass response when enabled. Without further ado, let’s see if the Levetron GH808 lives up to the Levetron name! 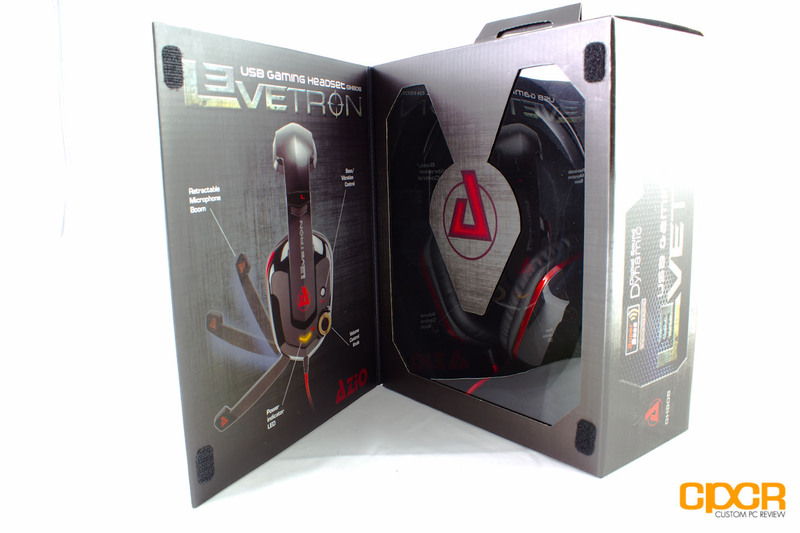 Here’s a look at the packaging for the AZiO Levetron GH808. Opening the front cover, we get a quick glimpse at the headset inside. Let’s crack this baby open! The AZiO Levetron GH808 does not come bearing many additional gifts. All you really get in the box is a user’s guide along with the Levetron GH808 unit itself. Taking a closer look at the Levetron GH808 itself, the inside of the headrest is lined with a thick layer of cloth covered padding. The exterior of the headrest is covered with a large piece of plastic. The plastic is quite sturdy and has a matte finish as well to help increase resistance to dust and fingerprints. The circumural earcups on the Levetron GH808 are fairly large. The padding on the earcups are covered with pleather. Unfortunately, the pleather padding used is the stiffer rather than the softer type. Underneath the earpads are the 40mm headphone drivers along with the 30mm bass units. The bass units are a good reminder of the Razer Tiamat 2.2 gaming headset, which was reviewed a couple months back. Instead of having an in-line control dongle, AZiO built all the controls needed to operate the Levetron GH808 right into the left earcup. The big silver knob is used to adjust the volume, and its massive size makes locating and turning easy. The little button on top of it is used to enable/disable the “Super Bass” function. The little grey “V” to the left of the knob is a LED that blinks during operation and serves no other purpose than to look cool and let you know it’s on although you probably won’t see it when you’re using it. Unfortunately, there’s no microphone on/off button on the headset, but this is actually controlled via the microphone itself. In addition to all the buttons, the microphone swings out from the left ear-cup as well. There’s an integrated switch in the microphone so that when the microphone is in the down position, it becomes unmuted and when the microphone is in the up position, the microphone is muted. 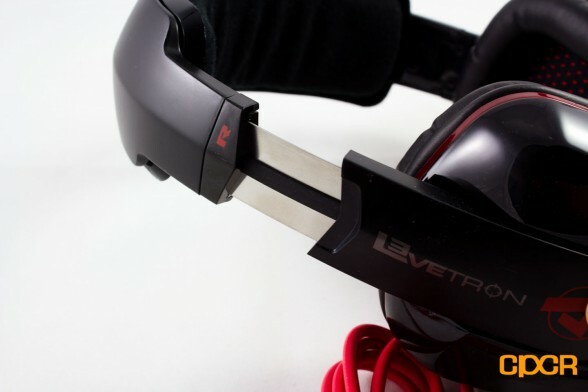 The headband of the Levetron GH808 composes of a metal core sheathed in plastic. I love this design as it doesn’t weigh you down, but more importantly it offers much better durability when compared to a plastic core. 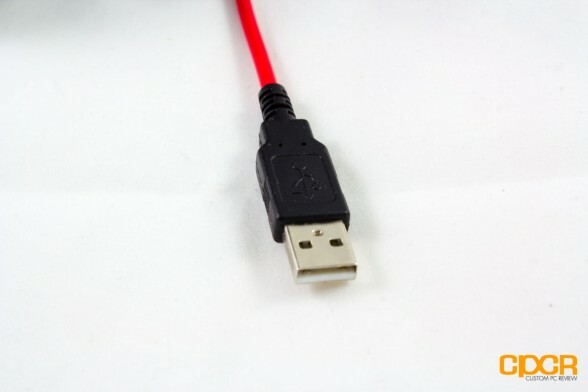 The Levetron GH808 connects to the PC via a USB connection as shown here. The cord is a standard, plastic, tangle free cord. 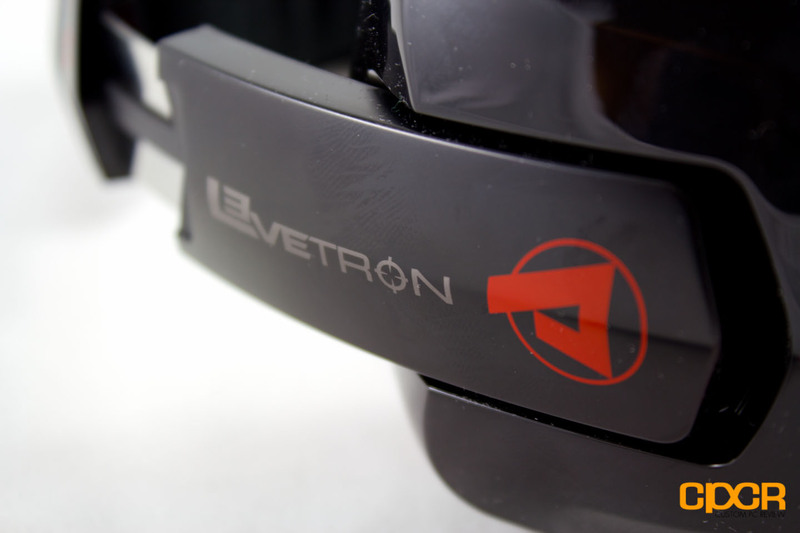 The Levetron GH808’s 40mm drivers sounded pretty good for gaming although I did feel like there was a bit of flatness to the overall sound signature. That said, the shortcoming is well compensated for by its crystal clear sound output, clean bass response and treble. 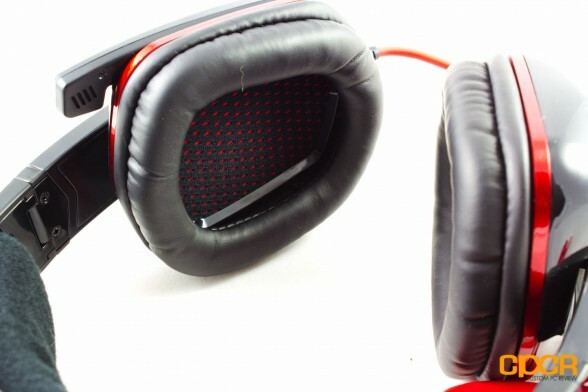 While it sounded great, I felt that its directional sound trailed other stereo headsets and the overall soundstage didn’t feel as wide as other competing headsets such as the SteelSeries Siberia V2 for example. That said, my experiences were generally positive with the Levetron GH808. Now I did mention that the response was quite flat, but to remedy this, AZiO included a “SuperBass” function which I think is basically just some digital processing that enhances the bass response. As advertised, the SuperBass function did indeed amplify the bass response, but I felt it was a bit too heavy handed. 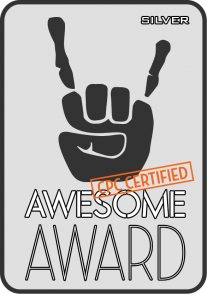 It didn’t evaluate where bass needed to be enhanced and just, boosted bass across the board. For example, while it was nice getting that booming feeling in my ears when an explosion occurred next to my character in Battlefield 3, it wasn’t so nice to have the footsteps to sound overly bass heavy. In fact, the SuperBass function was so powerful that it muddied almost everything when it was active. As with any headset I review, I ran the Levetron GH808 through my usual set of demo movies, Valkyrie and Mission Impossible III. I first watched the movies with SuperBass disabled and I found the GH808 particularly suited for the vocal heavy Valkyrie with its excellent mid-range performance. Moving to Mission Impossible III, the GH808 once again did a splendid job during briefing sequences and sequences with a ton of dialogue, but I couldn’t help but feel that there was an apparent lack of punch when it came to scenes with intense explosions. While testing movie performance, I also attempted to use the SuperBass function, especially during the intense explosion scenes in the movie Mission Impossible III. Once again, I felt like the feature was quite heavy handed in that it boosted the bass across the board and degraded the quality of audio rather than improved it. For music, I tested the GH808 with a number of different genres and overall I’m quite pleased with the performance of the headset considering it is in fact a gaming headset. Among the sound ranges, I found the mids to be especially pleasant, which is rare these days with most companies now focusing on a heavy bass and emphasized highs. Mid level vocals in rock music were exceptionally clear and I didn’t find it drowned out by percussion or high electric guitar notes. Speaking of high notes, the GH808’s treble performance was noteworthy was well. I felt that it stayed distortion free all the way up until the the very high end, where a tiny bit of distortion was detected when sharps started to roll off the violin. Bass in dubsteps didn’t sound terrible, they were clear and free of distortions, but lacked depth. With SuperBass enabled, dubsteps sounded much more rich and powerful. But that improvement came at the cost of sound drownouts in all other types of music. Whether it be classical or rock, if a note with even the slightest hint of bass played, SuperBass would grossly over-amplify it, making everything else sound non-existent. 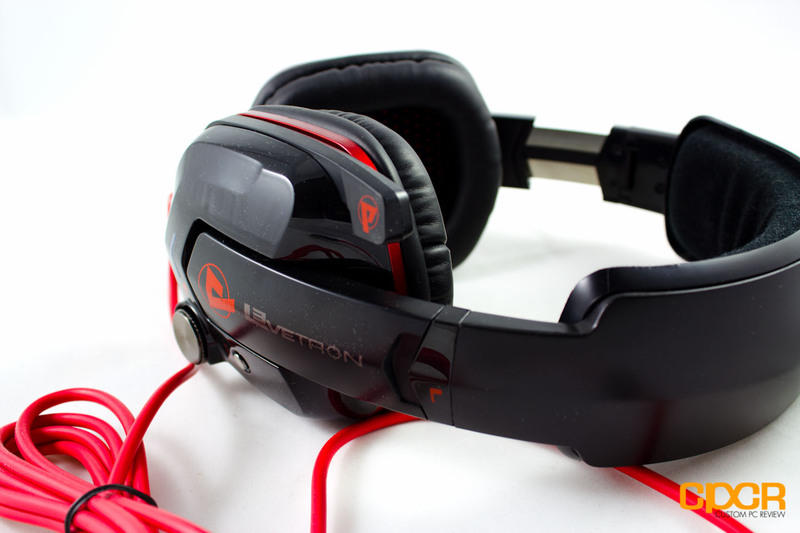 The Levetron GH808 was an extremely comfortable headset. The extra wide headrest was exceptionally well padded and the curvature was perfect for the contour of my head. This helped distribute its weight evenly over a wider area and virtually eliminated skull pain. Despite having stiff-as-a-rock earpads, the earcups were still very pleasant to wear as the headset didn’t clamp down on my head too tightly. Unfortunately, I found that because the earcups aren’t made of the soft pleather that cup your ears perfectly, the earcups did not form a good seal around my small-ish head and thus was subjected to sound leakage. 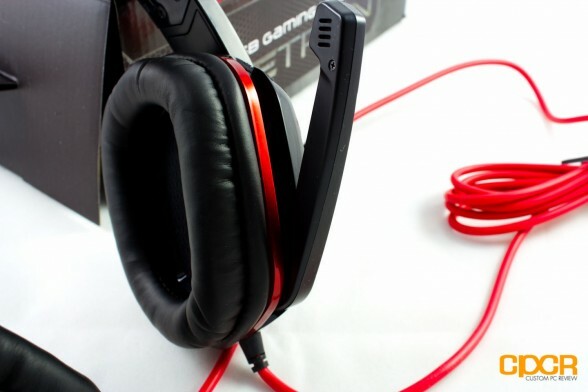 Unlike the microphones on a number of headsets I’ve tested in the past, the Levetron GH808 did quite a decent job and is only matched by my current favorite for best microphone on a gaming headset, the Plantronics GameCom 780. 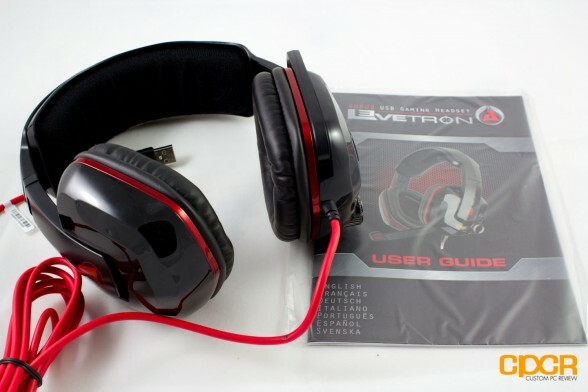 Whereas most gaming headsets just claim noise cancellation, the Levetron GH808 actually did a terrific job at cancelling out noise. During Skype chats, the other party was barely able to hear my iPod touch playing on full blast using the integrated speakers even though it was placed a meter away from my head. Fan noise which was picked up very well with my Blue Microphones Snowball was cancelled out quite nicely as well. Audio output was good as well as my voice came out clearly and without any static while chatting over Skype. I did receive a couple comments that the microphone was a little quiet; however, but enabling microphone boost in the Windows Volume Control options fixed the problem. Doing so does introduce a minimal amount of static however, so be prepared to speak up if you don’t want to enable microphone boost. Gaming with the Levetron GH808 is a decent experience. It’s not breathtaking or anything, but it functions and it functions well. Directional sound and soundstage unfortunately wasn’t all that with the GH808 despite AZiO dropping in an integrated CM108 Virtual 7.1 surround sound solution. Fortunately, the headset did perform quite well in terms of audio quality as everything sounded great. Gunshots were clean and miscellaneous sounds were clearly outputted as well. As far as SuperBass goes, it’s definitely going to be a love or hate relationship for you guys, depending on personal preferences of course. Personally, I felt like it was just a little over the top as it pretty much just takes everything a notch lower. Stuff with bass already there just gets bottomed out and sounds that generally aren’t supposed to be too bassy (footsteps, distant explosions, etc) seem odd when they end up rumbling your face. Musical performance of the GH808 is good, but it misses the mark in several aspects. The GH808 has powerful and crystal clear mids, which makes vocals in rock music very pleasant to listen to. Treble isn’t bad either, but I detected a bit of distortion when music extended into the high sharps. Listening to dubsteps with SuperBass disabled was an pretty painful as it couldn’t deliver the bass experience I was looking for, but the situation improved as soon as SuperBass was enabled. Similar to the gaming test, the bass drowned out other sound levels at certain points iin the music test, and over-amplification of low level bass was still apparent here. The GH808 puts emphasis on the mids when SuperBass is disabled, and the headset becomes very bass biased (duh) with it’s enabled. Unfortunately, the soundstage of the Levetron GH808 is very narrow, giving the user the impression of being stuck in a jail cell rather than a concert hall. Again, the virtual surround sound solution didn’t do much to improve this. Yay for integrated sound! There may be some inconsistencies with the GH808’s audio, but there’s nothing to gripe about when it comes to comfort and build quality. The headband feels like a pillow, distributing the weight evenly across a wide area while keeping pain away with its extra thick padding. The earpads on the over-sized earcups was quite stiff, but thankfully, the earcups don’t squeeze you head like a pair of hydraulic clamps. 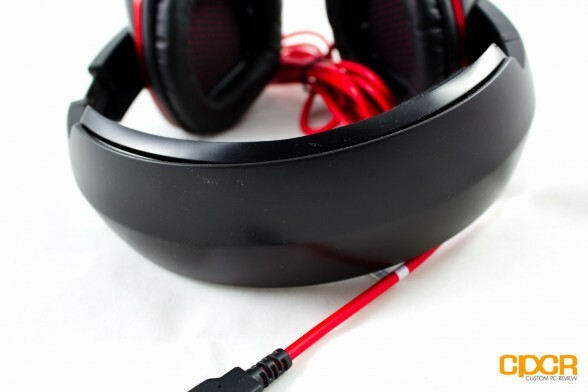 The large volume wheel integrated into the earcup is easy to reach and turns very smoothly and being able to turn the SuperBass function on and off using the button on the earcup is also a very convenient feature. 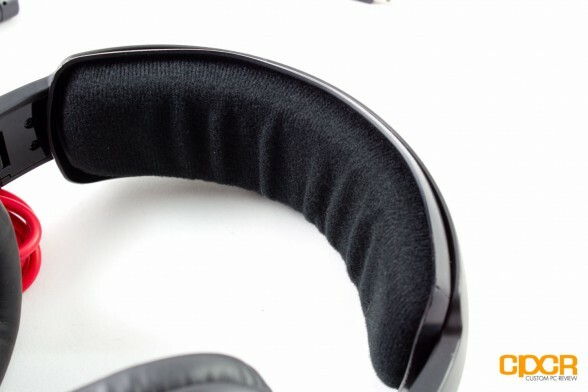 Although the exterior of the headset is constructed out of plastic, the inner band of the headrest is comprised of a metallic band for structural integrity. The only design flaw I was bothered by is that the over-sized earcups failed to form a good seal around my head, which led to significant noise leaks and poor noise insulation. This would be very bad in a situation where there’s a lot of background noise (such as a LAN party) as outside noise would also leak in. 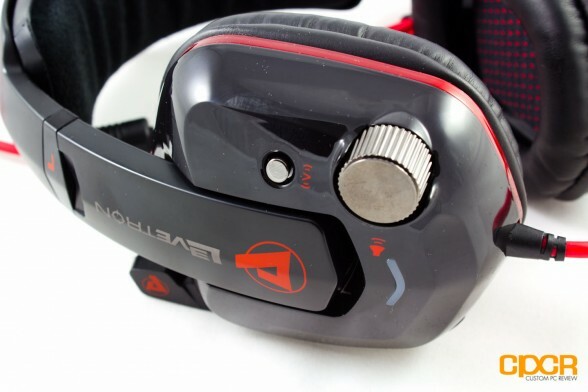 The AZiO Levetron GH808 is currently rocking a pricetag of $94.03 so it’s definitely one of the pricier headsets on the market. Competitors include the Plantronics GameCom 780, the Corsair Vengeance 1500, the SteelSeries Siberia V2, the Creative Tactic 3D Rage and the Razer Kraken Pro. 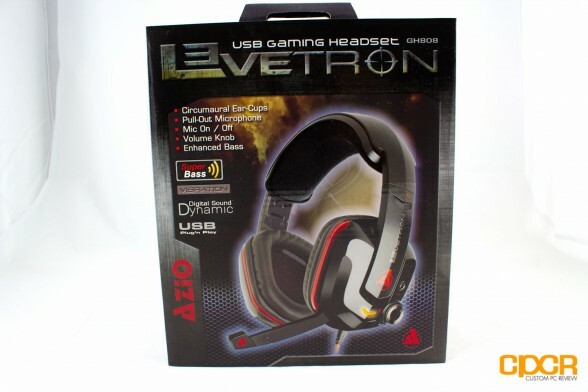 Overall I think the AZiO Levetron GH808 does offer quite a bit given that it has decent sound quality and a decent quality microphone that’s unmatched by any headset I’ve used except the Plantronics GameCom 780. That said, I do think the pricing is currently a bit high at the mid $90’s, but if prices do drop closer to the $60 mark within the coming months, I think the AZiO Levetron GH808 will be a very, very attractive option.